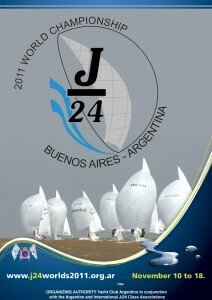 The 2011 J/24 World Championship is shaping up to be a great event. Sailors who have qualified to enter from their country should read the Notice of Race now available for download. Founded in 1884, the Yacht Club Argentino has a long tradition of hosting major sailing events. The club is known for its its top-level Race Committee and has a reputation of great hospitality.